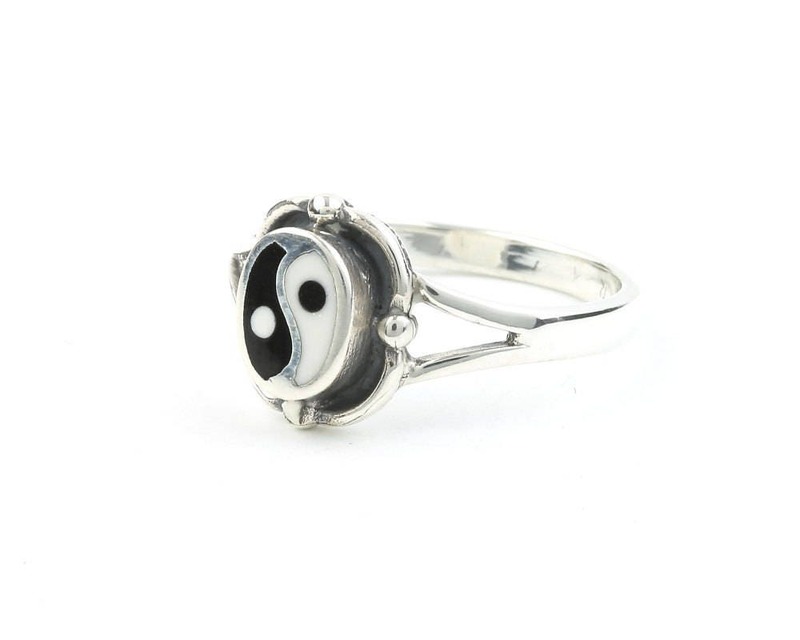 Sterling silver ring with black and white yin yang inlay. 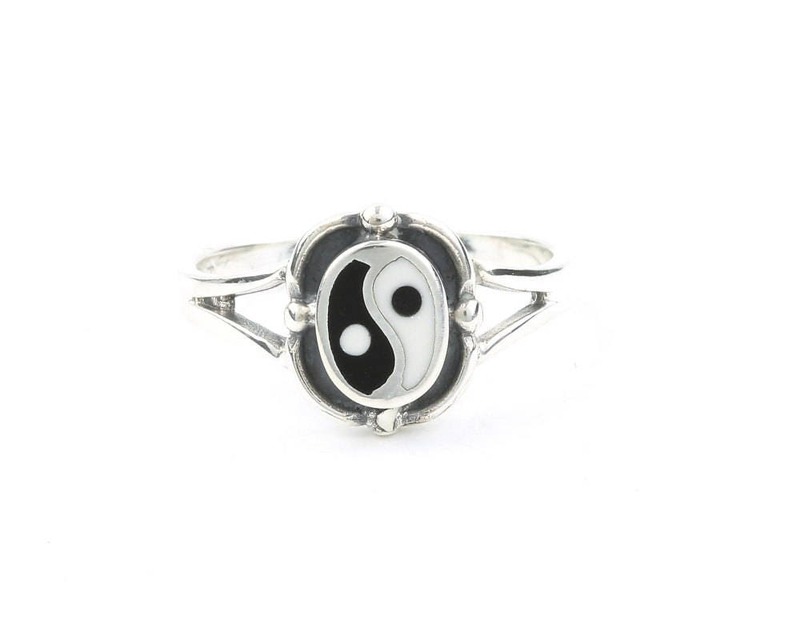 The yin yang is a powerful symbol of balance. Pairs beautifully with other silver rings and gemstone pieces. Delicate looking ring but good quality and sturdy. I am really happy with this ring. it was perfect but a little loose on my pinky, fell off and lost it the first day:/ other than that shipping was incredibly fast!